Collaboration. Innovation. Vision. These are the three key ingredients that make up the tech industry and it was no accident when Cisco poured video and UC (their Chemical X) into the mix. This concoction created Cisco Live to show off and share its super powers with the world! To support pushing these features to the forefront of today’s technology movement, Vyopta will be exhibiting vAnalytics alongside Cisco partners. vAnalytics is a single system to monitor and analyze your entire single or multi-vendor UC / video environment. 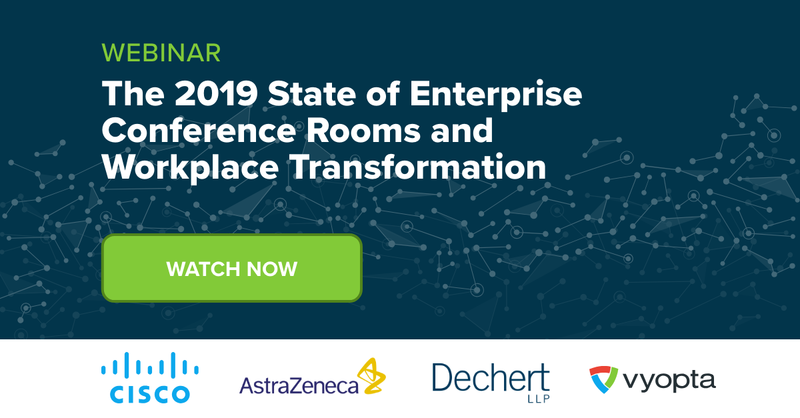 Vyopta provides this unified view of the video conferencing environment and empowers IT teams to improve user adoption, quality performance, and overall video utilization. Proactive custom alerts and real-time troubleshooting can be used to facilitate issue resolution and enhance call quality performance. This fine-tuning collaboration technology assets with call path analysis. The product also simplifies complex data and eliminates the need for manual spreadsheet reporting for all video conferencing systems. These reports reveal which meetings actually happened, which allow you to better plan your collaboration technology investments. To put it simply, we provide the instrumentation and insights to manage UC performance and security. At Cisco Live, Vyopta will be highlighting new features coming soon with vAnalytics including our new Cisco Spark integration bots. These are a promoting option for customers to receive Vyopta scheduled reports in the Spark room instead of their Inbox. Our goal is to help align customers’ current UC environments utilizing existing Cisco Services, and giving them the ability to touch all Cisco tech with our single solutions portal. On top of integration bots, we are presenting our most eagerly awaited features: Vyopta monitoring and analyzing Cisco Spark Room Kit endpoints. It is exciting news as Vyopta and Cisco Spark Room Kit will help solve the “how many people in the room?” question! Additionally, swing by our booth to catch a sneak peak of our business insights tool to help you maximize your UC investments and management. Vyopta helps you optimize your UC investment so keep your eyes open for updates on the official launch date later this summer. See Vyopta at Cisco Live 2017 in Las Vegas, Nevada to learn more about how you can drive more adoption, better capacity rates, and more within your organization’s UC / video environment. Through Vyopta’s multi-platform tool vAnalytics, our customers can further analyze their video environment making educated decisions to get the most out of their UC investments including business insights and investment management capabilities for their UC environments. Join us at Cisco Live in the Collaboration Village for a live demo and sneak peek into new innovations with our solution or visit our website to try our demo. We look forward to seeing you soon! Cisco Live is propelling technology forward as the driving force to make anything possible with the help and collaboration of all technology innovators. Cisco Live drives home this theme as paramount to the industry by playing catalyst to all the training, education, and connections you need to thrive in the innovative world of digital business. The event’s overarching focus is all about value for money, too. You’re away for a single week instead of multiple days broken up across the year, so you get increased learning value per dollar. Plus, you’re completely immersed in what you’re learning about, which has been proven to promote better retention. Go-to spots to exercise your memory banks include: the World of Solutions area to review the latest and greatest tech solutions, the Cisco Campus to learn more about the Internet of Things, the Social Media Hub to network, and much more! There will even be a Testing Center for those who would like to be Cisco certified for FREE! The more you know, the more you can get out of your experience. Curious how you can improve your UC environment? 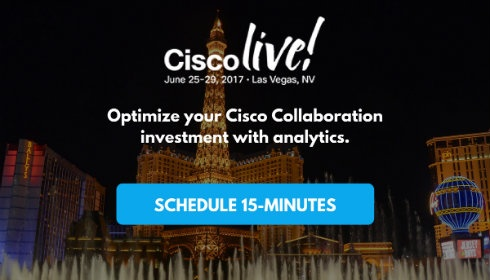 Click below to schedule a meeting slot with us to learn more at Cisco Live.